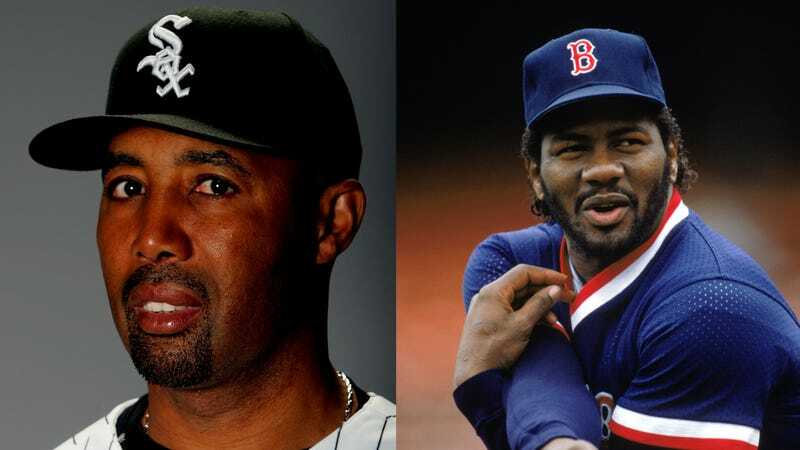 Relief pitcher Lee Smith and right fielder/DH Harold Baines were both elected to the Baseball Hall of Fame on Sunday night by the Today’s Game Era Committee. Its voters gave Smith its unanimous approval, while Baines just hit the 75 percent threshold with 12 out of 16 votes. (Lou Piniella fell just one vote short.) This election comes despite that fact that Smith never cleared better than 50.6 percent in 15 years on the BBWAA ballots, while Baines never even got more than 6.1 percent from the writers. So, uh, what could have made these particular guys worthy of inclusion now? Primarily because there are so few Hall of Fame-level relief pitchers to compare him against, Smith is the less perplexing choice of the two. Of course, he’s no Mariano Rivera, who’s sure to get in as soon as he’s eligible, but put Smith side-by-side with fellow Hall members Bruce Sutter or Trevor Hoffman and he doesn’t appear out of place. Smith’s rWAR of 29.0 in an 18-year career is better than what either of those players have, with a solid ERA+ of 132 to go with it; for whatever it’s worth, which in the Today’s Game Era Committee is apparently quite a bit, Smith was the consensus best reliever in the game at his prime. Smith’s election makes you wonder about other relief guys who didn’t make it through the BBWAA vote—John Hiller and Dan Quisenberry specifically come to mind—but if the goal was to populate the Hall with more guys from his position, Smith’s a reasonable place to start. Really, it’s fine. “Wasn’t really expecting it, but very grateful that it happened,” Baines said of his election. When even the guy being honored doesn’t seem to think he’s a Hall of Famer, something might be off. On most levels, none of this is worth getting upset about even a little bit. Election to the Hall of Fame really only matters to the players who do or don’t get in, and smart people will argue that any or all of the very solid hitters listed above also deserve to be recognized. For us common folk, we’re simply arguing about whether or not there should be a plaque in Cooperstown, N.Y. that we can then choose to look at or not look at. Still, questionable guys like Baines and Smith getting in before all-time legends like Barry Bonds, Roger Clemens—hell, even Mark McGwire and Sammy Sosa—because of some inconsistent application of a morality clause from the writers is incomprehensible at best and overtly crooked at worse. That’s not even getting into the continual snubbing of Marvin Miller, the labor leader who did more to change the game for the better than probably anyone in the second half of the 20th century. Smith and Baines deserve to enjoy their election day, but the Hall of Fame had better quickly figure out a way to honor the better candidates who just got leapfrogged.